On 1 June 2018, Derek Mackay wrote to the Scottish ADT stakeholder forum. A series of stakeholder meetings with H&I experts is now underway. A new introduction date for the legislation now needs to be agreed with the UK Government. Further delays beset Scottish Air Departure Tax, Justine Riccomini explains. 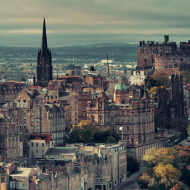 For the last two years, the Scottish Government has been engaging in a series of stakeholder meetings with tax and demographics experts and senior airline professionals to work out its proposals on the replacement for UK Air Passenger Duty (APD), Air Departure Tax (ADT). The Scottish Government is keen to introduce the new tax, the legislation for which has already been written and passed – but not yet introduced. The tax will be payable by aircraft operators and charged on the carriage of chargeable passengers on chargeable aircraft by air from airports in Scotland. Currently, The Highlands and Islands are exempt under Excise Notice 550 for all departing passengers under APD legislation. However, there are issues around state aid and combined with Brexit throwing a spanner into the works it is not clear when this new tax will be introduced. The Finance Minister wrote to the Scottish Parliament on 1 June, stressing his continuing intention to introduce the legislation to ensure competitiveness in the Scottish airline industry. Mr Mackay stated that “The Scottish Government remains committed to a 50% reduction in ADT by the end of this Parliament, and to abolishing the tax when resources allow”. However, he stated that at present, the Scottish Government is not prepared to commit to introducing new legislation whilst uncertainty over the Highlands & Islands exemption remains. 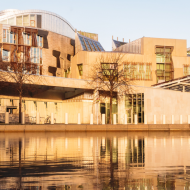 The Scottish Government is proceeding with a programme of meetings planned from June with key stakeholders from organisations with expert knowledge of the H&I economy. In addition, the Scottish Government is continuing to work with the UK Government to formulate a solution. The details of what solution will emerge are as yet unknown. One thing is certain – for the airlines to set their fares for Summer 2019, they need to understand their cost base imminently, and Revenue Scotland also needs enough time to prepare for any measures well in advance of them being brought in. Until a suitable solution is found which produces no financial detriment to the Highlands & Islands region, it seems as if ADT will be left in the hangar.